Based in Liphook, our team of plumbers and heating engineers provide a range of services from boiler installations and boiler servicing, to fully customised central heating systems. We operate throughout Hampshire, Surrey and West Sussex, covering a wide range of areas including Haslemere, Farnham, Petersfield and Godalming. Our heating and plumbing engineers are highly skilled and fully qualified in all the latest regulations and have been certified with the following accreditations for additional peace of mind. We're very proud that we continue to hold our Which? Trusted Trader 5.0 star average. We are also recommended by 100% of customers. ”Damien was prompt with quotes and explained all the necessary ordering and possible timescales. The work was carried out on time once the parts were received. Very tidy and all areas cleared up. Very professional and friendly service. ”Honest, professional and reliable. Can't fault him: knowledgeable, turned up when he said he would and a nice guy too. Would definitely use again and have already recommended him to a friend. ”First class company. Prompt, clean, tidy and reliable. 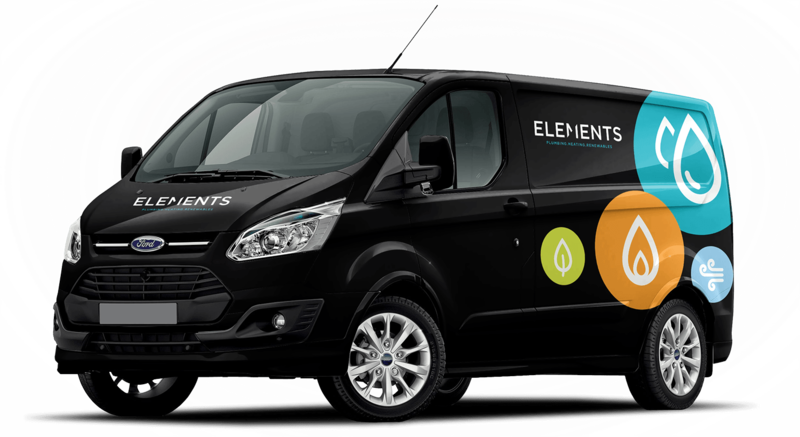 Would highly recommend Elements to anyone in need of plumbing and heating work. ”I use Damien regularly for boiler repairs in my home, and he most recently fitted a whole new boiler for me. I always have him back because he is tidy, friendly and approachable. He is very honest and always tries his best to keep costs as low as he can for me. I would absolutely recommend him. ”Fantastic plumbers. We use Elements for all of our domestic plumbing and I genuinely can't fault them. Honest, professional, knowledgeable, friendly and approachable... I wouldn't hesitate to recommend them.